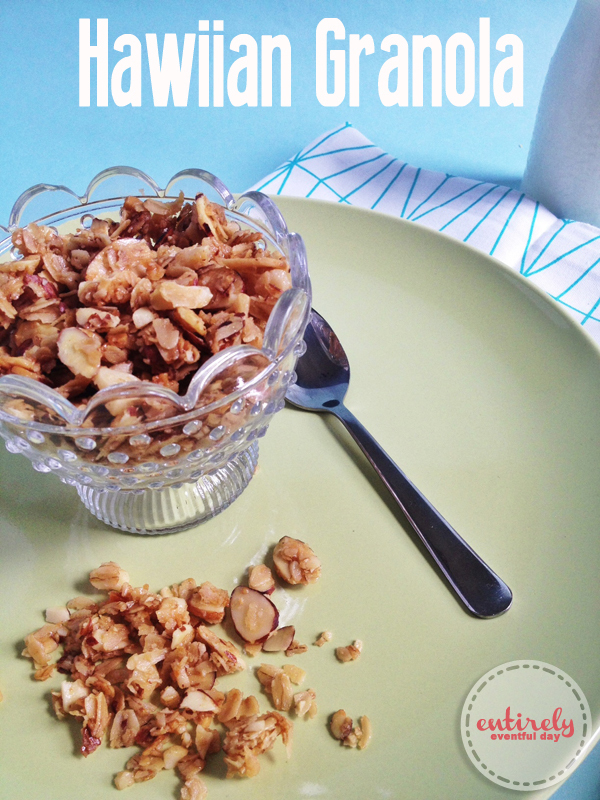 I hope you love this granola recipe as much as I do! It is yummy and easy to make. I could eat it by the handfuls... and maybe, just maybe I do! Preheat oven to 325 degrees. Mix all ingredients together, spread on baking sheet and bake for 15 min. Remove and stir, bake for another 10 min. Repeat last step until granola is a golden brown. Once golden remove and stir one more time. Let sit for 10 and then scoop into desired dish. Let chill before serving. Store in fridge.